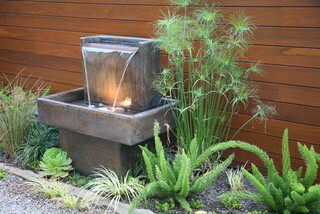 A small water fountain can add a lot of aesthetic value to a garden. It can also add a new sensory experience. The sound of the falling and trickling water can be soothing. If the water flow is strong enough, it can soften or even hide the noise from a busy street. If you’ve ever shopped for one, you know that there is a limited selection of attractive small water fountains. 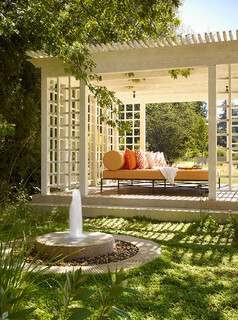 If it’s small, and you want it to be a focal point in your garden, it has to have a captivating appearance. I like those that appear to have been designed by a sculptor. Another feature that adds interest at night is lighting. Directing garden lights toward your fountain is a must. 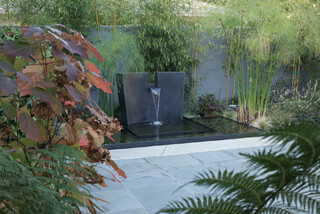 But if you want an even more interesting look, get a fountain with a built-in light(s). 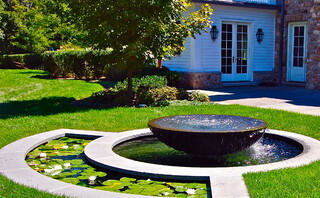 I saw a small fountain with a built-in light inside the waterspout in a newly completed courtyard at a friend’s house. The light illuminating the water flowing out of the spout was very cool. I couldn’t take my eyes off it. It just occurred to me why the look and sound of water are so appealing to us. Could it be because our bodies are roughly 70 percent water? We need it as much as we do oxygen and food. Perhaps then we are biologically attracted to water and soothed when it is present. 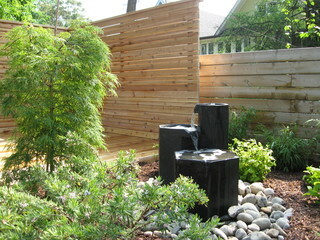 If you like small water fountains and small ponds you could combine them. 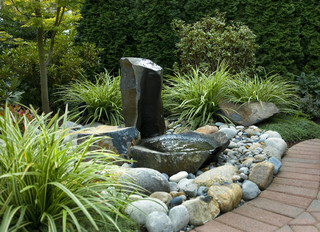 You could add a fountain to your pond or make them separate components in a single design. 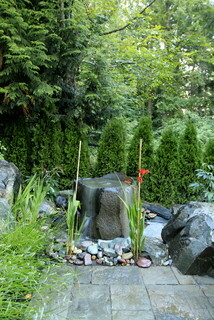 In the right setting, a small water fountain water can add charm to your garden. 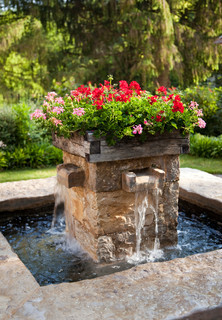 Be sure to include electrical and water connections near your fountain in your landscaping plan.